or still having, depending on your holiday work situation! Hubby, being in the building industry, has been home most of the winter, therefore I really hate to admit that the days seem to blur one into another!! I picked up this little dresser a couple of months ago, and the size is so versatile, that I couldn’t decide where I wanted to use it. It has settled here for now, on a wall in my dining room…. Above is a shelf with some of my pewter carried over from my previous home. 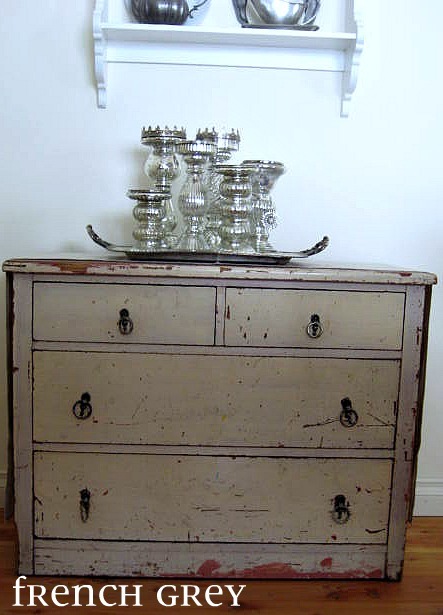 It was a cape cod style house, filled with mostly primitives and early american antiques. 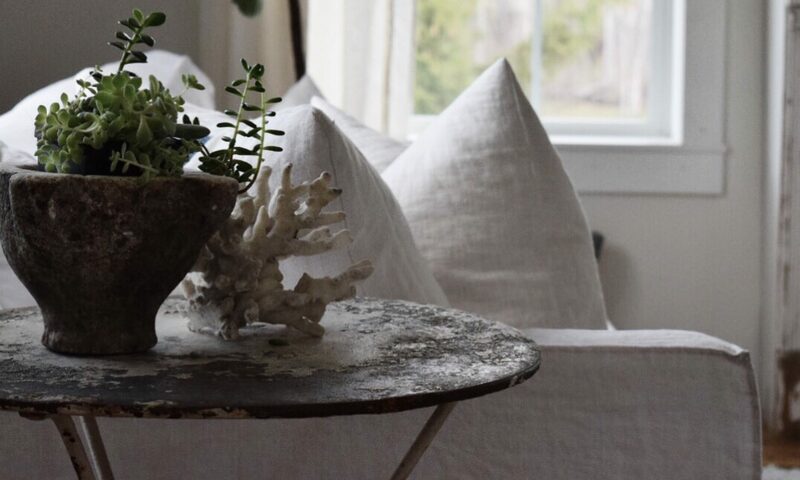 When we built our house I made the transition to white, but still have some things that I still love. So I painted the shelf white and added a few ironstone pieces to segue to a white on white interior. 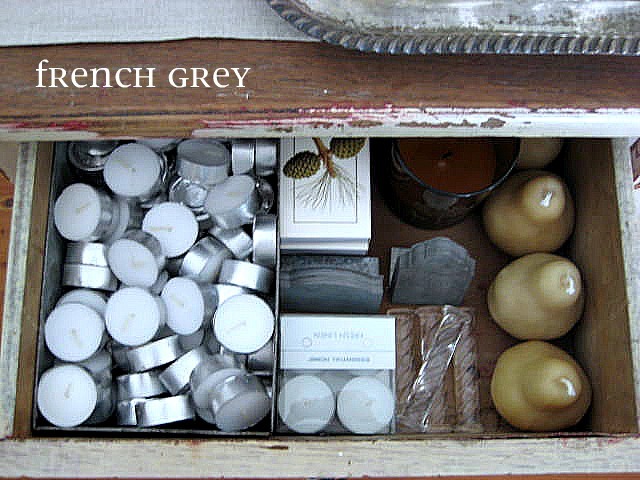 I have been using the dresser drawers to hold some items that I like to keep on hand for easy entertaining. Entertaining is not really a word I like to use, because I really consider it more a form of hospitality. Somehow, entertaining conjures up images of trying to impress your guests to me, and I feel it should be more about making your guests feel comfortable, relaxed and focused on fellowship. That being said, I do like to use a lot of candlelight, including a votive at each seat. These little tea lights are inexpensive, usually last the evening, and add a warmth to the overall dining experience. And if the truth be known, I am a self proclaimed “foodie” so I like having people over to eat!! I have used the silver tray for a coffee service after dinner, condiments for a BBQ, or anything else I can think of!! So having it handy like this works for me! 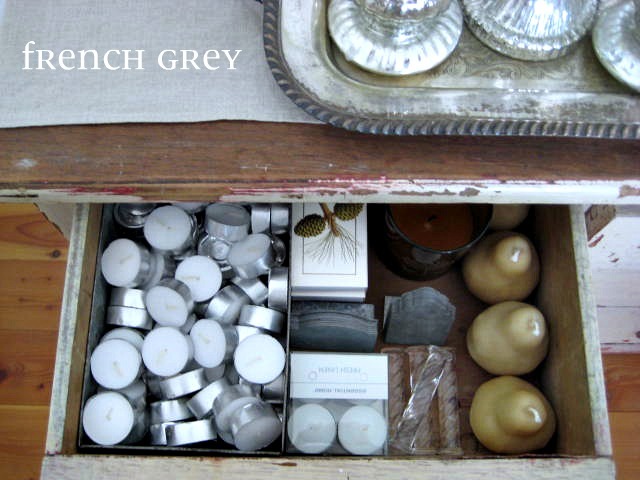 Polishing is not really a word used around here, so I was so thrilled when I learned the term “french grey” which you can read about here . So this is a little peak into a corner of the room for today, with more to come soon. 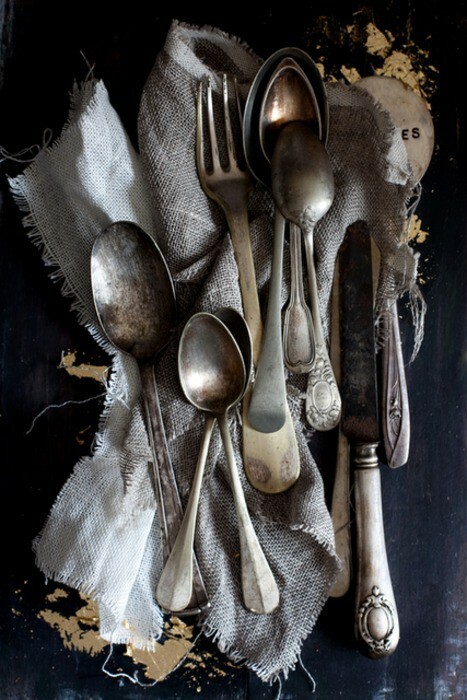 Great dresser and huge fan of grey. I like your tea lights – I have votives everywhere especially during our dark Seattle winters. Great sneek peek! looking forward to seeing the rest of the room. I have candles everywhere as well, the light is so much softer than overhead lighting and much more atmospheric. 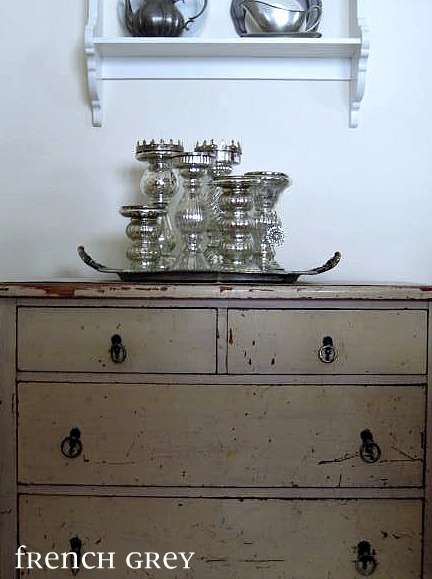 Love the dresser, the paint is a perfect chippy shabby chic. Looking forward to more. i love that dresser too. can’t wait to see the rest. have a good one.